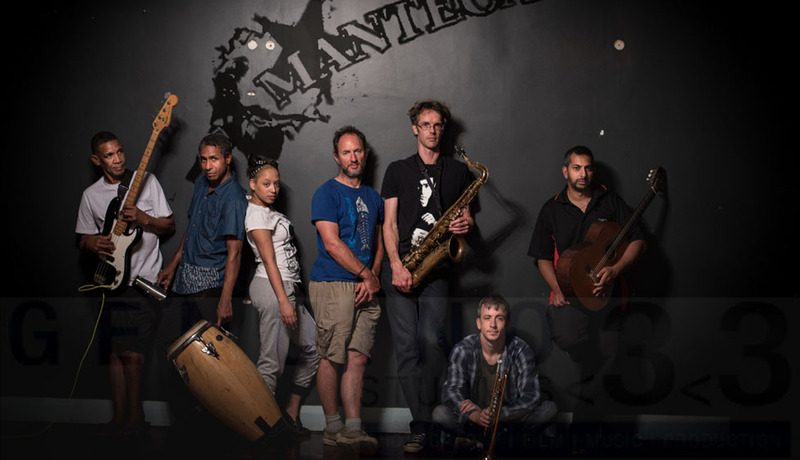 Manteca was born in the practice rooms of UKZN as an additional elective class in 2009 performing at the UKZN jazz center at the annual Jazz Jol then moving off the campus and into the seedy dance halls of KZN to bring some cultural realness to the local music and dance scene. The band has evolved over the years varying between a 13 piece and an 8 piece line up featuring a culturally diverse array of individuals with a passion for the intense rhythmically charged art form of Afro Caribbean music (a fusion itself of European classical and African musical traditions). Durban’s hot-blooded, authentic, cooking Afro Cuban Salsa Band. Continuing the evolution and journey of Salsa and making it a part of Durbans Rich Cultural identity.The band has over its existence featured at many corporate, cultural and sport events with even a favorably reviewed show at the local Rhumbelow Theatre. Manteca (meaning Fat or Grease) loves fusing ideas of Music, Dance, Art, Architecture, Culture and Fashion (even inspiring a range of "Manteca Shirts" by Designer KMK). The band features Raul Vazques (Cuba) on male vocals, Nelvis Aminata (Cuba) on female voc, Jose Chemane (Mozambique) percussion, Daniel Sheldon (Zimbabwe) on Trumpet, Avikar Maney (Canada) on Alto Sax, Avinash Maney (Canada) on keys, Monks Legette (SA) on Bass and Johan van der Molen (Netherlands) on Tenor Sax. Look out for a Gig near you and don’t forget your dancing shoes.